Bay Area artist Chad Buck opens an exhibition of new paintings at Brian Gross Fine Art on Thursday, September 8, with a reception for the artist at 5:30-7:30pm. In this exhibition, Buck continues to explore the relationship between color and texture in his refined abstract paintings. In his second show with Brian Gross Fine Art, Chad Buck places emphasis on sublime color and texture in his meticulously painted, reductive abstractions. 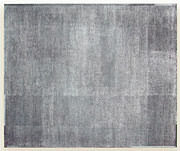 Buck thoughtfully considers the textural properties of other media, such as marble dust, which he combines with pigment to achieve a unique physical and material color. The vibrant palette of deep blues, radiant reds, ghostly greys, and soft whites lend an optical intensity and structure to the strong color and formal composition. 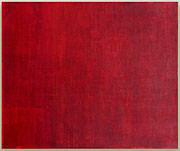 Buck.s reductive paintings are extraordinarily contemplative and render a powerful minimalist aesthetic. Chad Buck, born in Caldwell, Idaho, in 1955, received his MFA from Brigham Young University, Provo, UT. 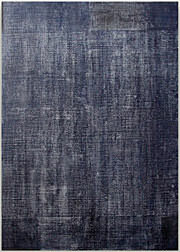 He has participated in numerous group exhibitions in California as well as in Japan, Mexico, and France, and was a recipient of a Pollock-Krasner Foundation grant in 2001. He lives and works in Oakland, California. 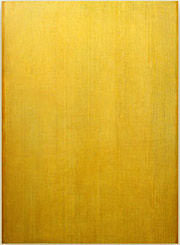 The exhibition continues through October 22, 2005.